The thought of taking a cold shower, or being forced to use icy water to wash your hands, clothes, or dishes, doesn’t sound very pleasant. Unfortunately, however, this is exactly what could happen if you fail to prioritize water heater services for your Illinois home. While a new water heater will likely do its job for years to come, an older apparatus needs routine maintenance, may require repairs, and may even be so dated and inefficient that replacement is the best course of action. Whatever your water heater needs are, our experienced service professionals in Illinois know how to help your family meet its heating needs! 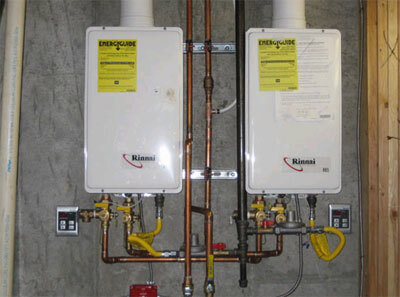 Water heater replacement and installation. Sometimes, installing a new water heater is the best thing for your home. While it may seem like a more expensive upfront cost, the truth is that new water heater installation can actually save you costs in time, repairs, and energy expenses. We offer installation of both traditional water heaters, and tankless water heater systems, which are highly energy efficient. Before we start any project, we assess it thoroughly to determine the best course of action. We don’t want to waste anyone’s time, and certainly want to walk away from a water heater replacement job with a satisfied customer! We guarantee 100 percent client satisfaction and excellence in our work. If you’re ready to learn more about replacing your current water heater with a new and improved model, contact us today. You can reach us by calling us at 708-339-6444, or by writing us a message using our online form.